Biggest transfer eva? 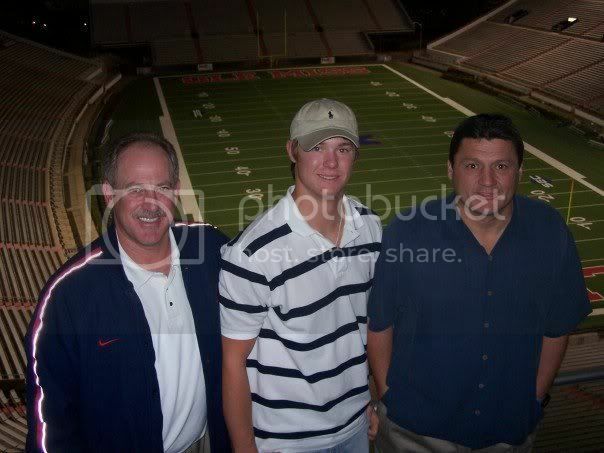 The #6 rated High school quarterback of the 2006 class plans on spending the next four years in Oxford. Of course he'll sit out next season while Brent Shaeffa tries to salvage his dignity. That leaves Snead three years (2008-2010) to run the Big O's O. "I think Brent Shaeffer and Jevan Snead need to swap names"
BTW - is it ok to link to you? do what you gotta do, papa. mail me at ecarbery(at)betus.com if you're interested in a $250 blog sponsorship from BetUS.com.